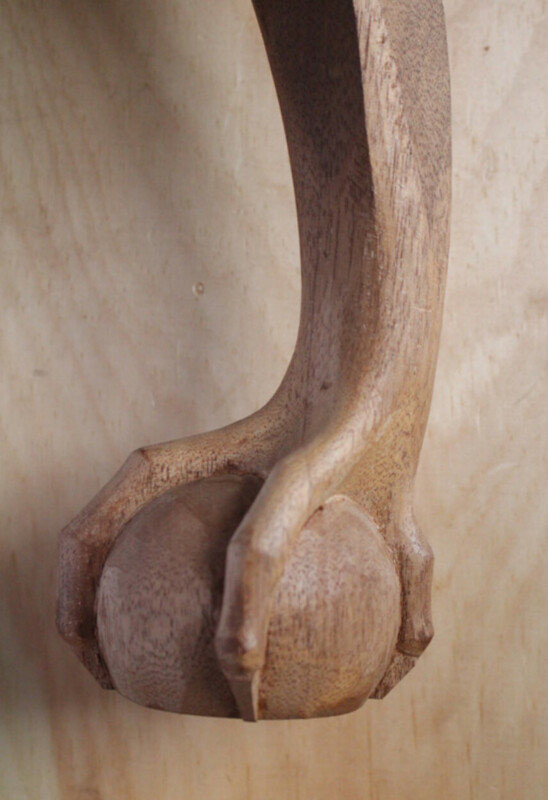 An enormous amount of skill can be acquired in a day spent carving a basic ball and claw. An enormous amount of skill can be acquired in a day spent carving a basic ball and claw. Not only can a foot be completed, but lots of little tricks can be learned that translate into carving in general, such as how to rough out the basic shape of an element before getting into the details, and how to look at the relationships of the various parts and keep them in the right proportion to each other. This one day class will help you understand how to choose the right tool for each element as well as how to modify tools for specific purposes and put all the measurements for the foot on one simple gauge. We will carve a Philadelphia style foot, but the skills will apply to other styles as well, such as Newport or Boston. No previous carving experience is necessary. Tool list as follows. Designations are the Pfeil numbers as listed in the Woodcraft Supply catalogue. No refunds, unless Allan Breed School of Woodworking cancels the class due to weather. Be the first to know when new classes are added.